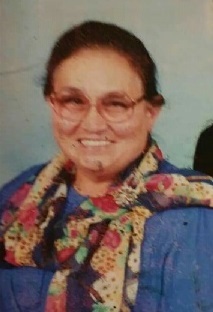 Maria Rodriguez, 85, of East Chicago, IN, passed away peacefully with her family by her side on March 26, 2019. She was born in Lares, Puerto Rico on February 13, 1934 to Juan and Josephina Perez. Maria is survived by her husband of 63 years, Ismael Rodriguez; children, Ismael (Norka) Rodriguez, Jr., Eduardo Rodriguez, Hector (Esterbina) Rodriguez, Elia Rosales and Manuel (Nydia) Rodriguez; several grandchildren; great-grandchildren; great-great grandchildren; two brothers, Vidal (Lucy) Perez and Carlos (Nilda) Perez; two sisters, Laura (Miguel) Rodriguez and Clotilde (Alberto) Alvarez; nieces, nephews and other relatives. Visitation will be at Iglesia De Dios Pencostal Church, 3802 Elm St., East Chicago, IN 46312 on Friday, March 29, 2019 from 4:00 to 7:00 p.m. Funeral Services will be at the church on Saturday, March 30, 2019 at 9:00 a.m. Interment at Ridgelawn Cemetery in Gary, IN. Maria will be dearly missed by her loving family and dear friends.